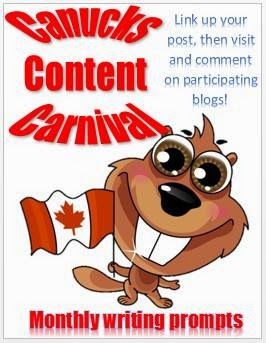 Welcome to the May edition of the Canucks Content Carnival. This month is all about how families save money. Read below to find out some of the ways our family saves money and then check out the linky at the end of the post to see how other families save too. There are many ways that individuals can save money - whether it is packing a lunch at home instead of eating out at work; making coffee at home in the morning and bringing it with you in a travel mug instead of stopping on the way to work. Having friends over for dinner instead of meeting at a restaurant - if going out is more appealing, have dinner at home and meet for dessert. Being pretty much a one income family, we have had to find different ways to save money and stretch our budget. The biggest money saver for me is price matching at the grocery store. Every week I take my list and head to the Real Canadian Super Store. I bring my flyers with me and am able to get the best price available that week. This helps out a lot, especially when it comes to meat and produce. Also, knowing your prices is a big one. If you know what the regular prices are for things you buy often, then you will know when a sale is truly a good deal. Often times, stores will show an item on sale, but it may be only slightly cheaper, where a good sale for it may be up to $1.00 (or more) off. Another way that helps me at the grocery store is using coupons. One thing to remember is that coupons only help if you would buy the product anyways. For me, I only use coupons for items I buy anyways; I try and wait until the item is on sale or I am able to price match with a good sale and pair the coupon for an even better deal. When it comes to having money saved, we transfer a sum automatically to RRSP's monthly, and we also contribute 10% from each paycheque to our emergency fund. We are planning on heading to Disney World in the winter, and to help save for that trip we are using the 52 week savings challenge. It helps me get into a routine for saving, and since I do it backwards I am saving less towards Christmas where our spending will increase. My husband is great at grocery shopping and always takes the flyers for price matching as well. You really have to pay attention at stores and make sure they give you the deals. Sometimes it says it is on sale but doesn't go through the cash at the sale price. I love looking at flyers and using coupons to save money! Good luck on the challenge and I hope you save up enough for your Florida vacation!